Are you ready to party? 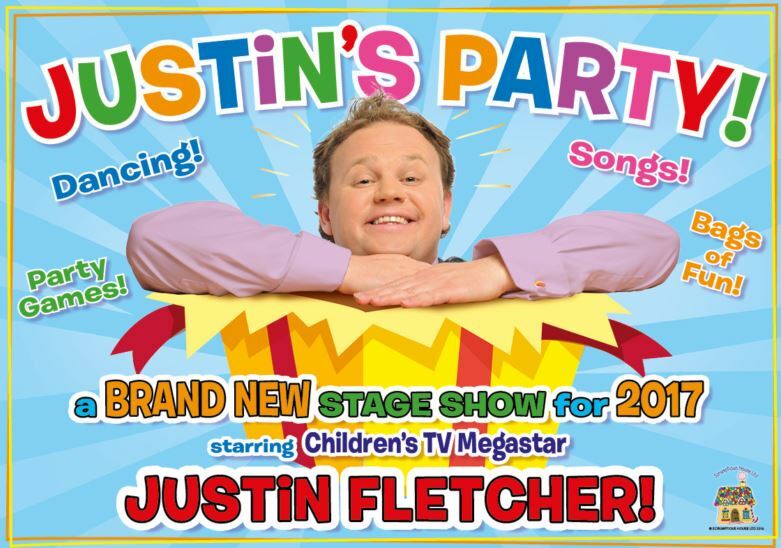 Because BAFTA award winning actor Justin Fletcher is coming to town and YOU are invited! JUSTIN'S PARTY is brand new show which packed full of fantastic songs, dances and hilarious games guaranteed to make it THE party of the year!There will be lots of exciting surprises along the way and you’ll get to meet Justin’s adorable new puppy Engelbert! So what are you waiting for? Get your party clothes ready and come and join in with this very exciting fun-tastic celebration!